Laurel Cottage is a Listed holiday cottage, believed to have been built in the early part of the 19th Century, originally as the stables serving the adjacent house, ‘The Laurels’. At the end of the 19th C it was adopted as the town’s first Fire Station, housing a hand operated pump, ‘Old Squirter’, which now resides in the Offa’s Dyke Visitor Centre, Knighton. It was refurbished and fitted out to a high standard in 2009 by the then-owners, John and Rosemary Freeman, as a comfortable and well-appointed holiday accommodation. 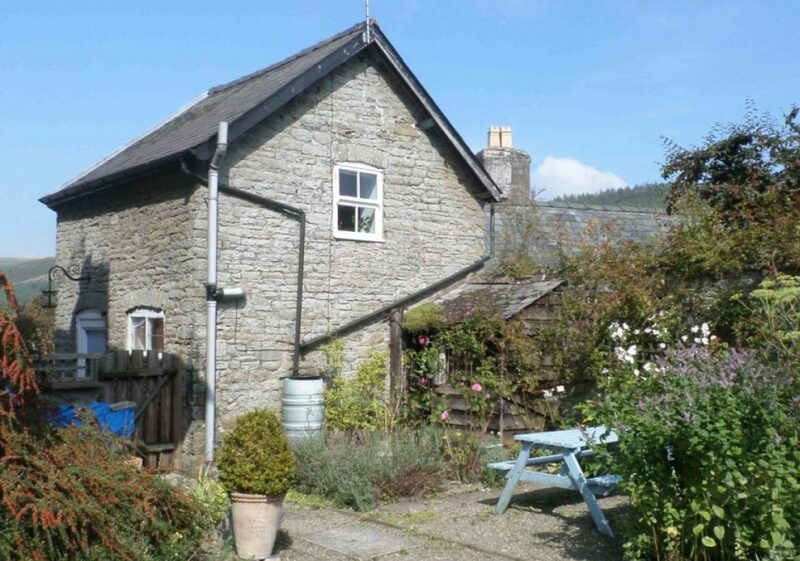 During their ownership, Laurel Cottage built up an enviable reputation as a wonderful base from which to explore the Welsh marches and beyond. In 2015, The Laurels was bought by Jo and Michael Harding, who hope to be able to offer the same high level of satisfaction and welcome as their predecessors. The Cottage has two good-sized Bedrooms, and can sleep five. The main bedroom has a splendid four poster king-size bed and lovely views down the Teme Valley towards Knucklas, overlooked by Offa’s Dyke from the heights of Panpunton Hill. The second bedroom has three single beds, with views over the charming terrace at rear, with Frydd Hill forming a backdrop behind gently swaying mature trees. On the ground floor there is a fully-equipped Kitchen with a short flight of steps leading down to the airy Sitting Room, where there is a wood burning stove, dining table, comfortable sofas and modern TV and DVD player.